I'm departing from my usual practice of publishing "writing stuff" today, in order to post this about the forthcoming holiday. On July 4 we will celebrate the anniversary of the birth of this nation--a nation, as Lincoln put it, "conceived under God." And when I look around me, I'm saddened by the events of our world, and those taking place in our own country. We'll fly our flag this weekend, as we do almost every day. We'll stand with our hands over our hearts and join in the singing of our national anthem when it's played. We'll vote and work and pray for our nation. And hope that it's enough. I encourage everyone on this Independence Day to pause and reflect on what it has taken for us to be free citizens in this nation. America was founded on the principles of set forth in our pledge of allegiance, a country that is "one nation, under God, indivisible...with liberty and justice for all." Some folks are trying (with some success) to remove the words "under God" from that pledge of allegiance. That makes me sad. 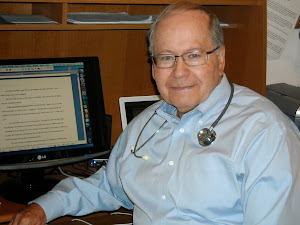 I'll be back Friday, July 7, at which time I hope to have more information about my forthcoming novel, Cardiac Event. Meanwhile, enjoy the holiday, but don't forget its meaning. PS--Not only was Medical Judgment named on the list of 2017's best by Christian Retailers, but Critical Condition ebook is 99 cents from now through July, all online retailers. Have a great July 4. I came home from the golf course to read an email congratulating me on the award won by Medical Judgment--Christian Retailing's Best for 2017 (in the category of Mystery/Suspense). Since this award is voted by members of the bookselling community (among others), I'm doubly proud. 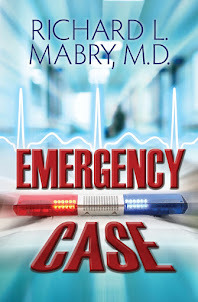 And for those asking about Cardiac Event, I've reviewed the galleys, the cover is done, and the finish line is in sight. Subscribers to my newsletter (tab on the right margin of this post) will hear first. We now return you to your regular activities. For those who've come to depend on my Tuesday posts (all three of you), "Sorry." I just determined this morning (before leaving to get something done) that I'd forgotten to write this post. But that's okay. Why don't you make a contribution this morning? I can hardly wait to see what comments you've come up with. When I looked over the archives of this blog, I discovered these quotes I posted five years ago. I've added comments in one or two places, in addition to the ones already there. And there's one at the end that I didn't put in the original post. Enjoy. 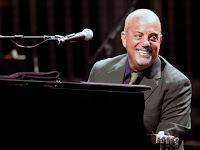 "Writing is an occupation in which you have to keep proving your talent to those who have none." (obviously written after a particularly bad review). - Jules Renard (And the more I write, the more I remind myself not to read reviews--but keep writing them, anyway). "A blank piece of paper is God's way of telling us how hard it is to be God." (and now it's a blank computer screen). "There are three rules for writing. Unfortunately, no one can agree what they are." (but when we finally agree on them, Jim Bell will write a book about it). - Somerset Maugham (Jim, you're written so many books--and I have them all on my Kindle--but still waiting for this one). What are your favorite quotes on writing? I'd love to hear (and maybe steal) them. Click here to tweet. 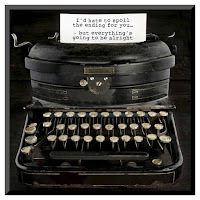 "Quotes about writing." I hadn't thought of these principles for years until I recently re-read one of Ross Thomas's novels. I can't find the one he wrote that includes this, but I'm sure it was one of them. I still remember these precepts from my days as a Rotarian. Maybe we should remember them when we go to post a remark to a story or blog post on social media. I'm writing this after the terrible shooting that took out several congressmen and aides as they prepared for a charity baseball game. Today I heard a news anchor (the station doesn't matter) say that we should be free to disagree and to express our opinions without fear of repercussions or retaliation. I agree. Whatever happened to that principle? Perhaps a return to the four-way test is a good first step. Click here to tweet. "Should these principles be applied to comments on social media?" Regular readers of this blog know that I get a lot from reading what the author Lawrence Block has to say about writing. For years his column on this activity appeared in Writer's Digest, and those columns were eventually collected in several books. I have most of them, but only recently acquired a print copy of this one--Spider, Spin Me A Web. And in it I found this gem about something I recently had to deal with. In the book, Block refers to the contention by another of my writing heroes, the late Robert B. Parker, that categories of fiction are useful to everyone but the author. In other words, although an author may write the book they feel they must pen (for one reason or another), it is editors, people who work in bookstores, readers (or judges of contests) who then put that book into a category. It's useful to classify books that way, but the author sometimes doesn't think of it that way. I found my own niche writing medical mysteries. I started out calling them "Medical Suspense With Heart," although after looking carefully at my writing I've changed that to "Medical Mysteries With Heart." The "with heart" refers both to God's love as well as that between characters, but since my work doesn't fully fall into the thriller/mystery/suspense category (certain not enough to compete with those who currently dominate it in either secular or inspirational fiction), I slid into the "romantic suspense" class. But not all of my books fit that category. This was brought home to me rather forcefully when an editor (rightly) pointed out that the next book after Cardiac Event has co-protagonists who are already married. For some reason, although there are many examples of male-female interaction in this one, it didn't fit their template. So I could either rewrite that book, write another, or move forward with self-publication. I chose the third option. I'll keep writing "Medical Mysteries With Heart" so long as you, the public, keep underwriting this activity with your encouragement (thanks for every email) and your patronage. And you know what? It seems sort of freeing to take Block's advice and write the book I want to write, rather than writing one to order so it fits into a particular niche. What do you think? Do you put more stock in a book's category than the past history of the author's work? I'd like to hear from you. Tweet with a single click. "Is a book's category more important than an author's history?" Click here to tweet. For some reason, when I read the paragraph I'm about to share I thought of Billy Joel's song, Keeping The Faith. In it he says, "The good old days weren't always good. Tomorrow's not as bad as it seems." 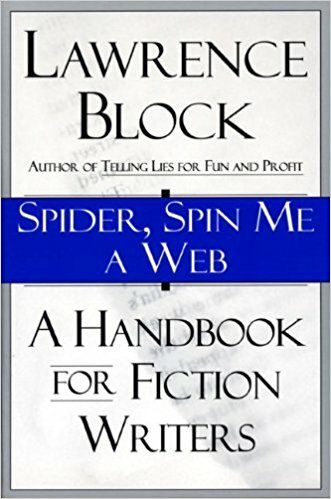 As some of you may have noted from my tweets, I'm reading one of Lawrence Block's books on writing, this one entitled Spider Spin Me A Web. I'd read all the other books in this group (taken from his columns in Writer's Digest), but somehow had missed this one. Toward the end of the book, he quotes from a communication he received from a fellow writer. Realize this is about writing, but it could just as easily apply to any profession. The writer refers to "hard economic times." She says that writers (about whom this is written) who could have been published ten years ago, even five, aren't getting contracts. Things are tough. What struck me was that this letter was in a book that saw the light of day thirty years ago! Admittedly, there has been a revolution in publishing, and I predict that "traditional" publishers will eventually change. There have also been changes in other industries and professions. I'm currently writing about a surgeon who refuses to adapt to the newer techniques in his field, and I identify very much with this man (even though he's not the hero of the story). Keeping up with these changes is tough, and although I don't know about you, my crystal ball is cloudy. As Billy Joel sings, "The good old days weren't always good. Tomorrow's not as bad as it seems." What do you think? Have the advances in every field made them worse or better for the practitioner? Click here to tweet. "Were the good old days really all that good?" Some of you with good memories may recognize this book cover. Facebook has reminded me that it was a year ago that I signed a contract with what I termed "a new publisher with experienced people." My first book due out from them was this one, Cardiac Event. Through a series of circumstances that we need not detail, that publication date was first delayed and then delayed again. Finally it became apparent this wasn't going to work out for that publisher, who very kindly reverted the rights of my book back to me. Since that time, my agent and I have worked diligently to find a home for this and subsequent books of mine, but nothing seemed to work out. So this week I decided it was time to move full-bore into indie-publication of the two books I have waiting. Since I've already indie-published three novellas, this wasn't unknown territory for me. And because I've had ten novels released by traditional publishers, I fit the mold of "hybrid" authors. Does this mean all my future novels will be indie-published? Or will I sign with a traditional publisher for future books? There's no way to tell. Stay tuned. What I can tell you, though, is that Cardiac Event will be out fairly soon. How soon? My guess is another month or two. 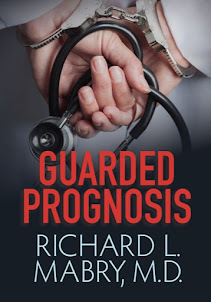 And, just as was the case with my last novella, Doctor's Dilemma, subscribers to my newsletter will hear about it first, and have the opportunity to get the Kindle version at a pre-release price that will be lower than the ultimate one. If you don't already get my newsletter, go to the right margin of this blog and scroll down until you find that sign-up tab. Meanwhile, here's my question for you. How far do you go with a book to get it published? At what point would you put it aside and work on another? I'd like to know. Tweet with a single click. 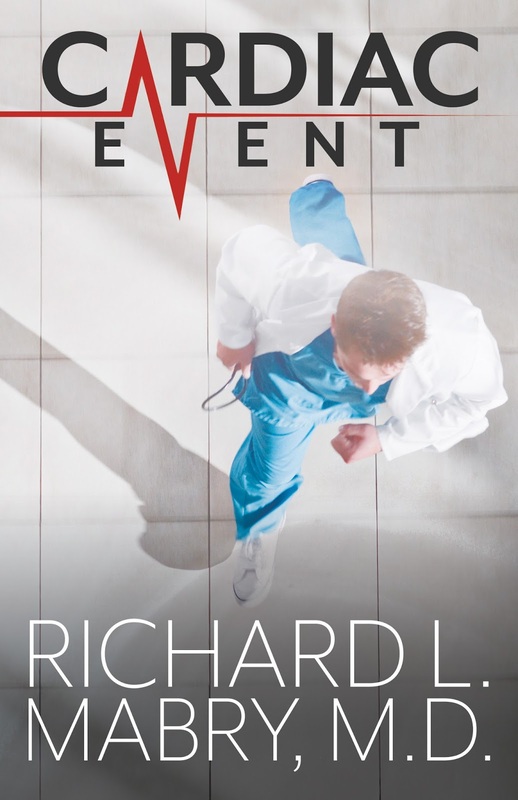 "Watch for the publication of Richard's eleventh medical mystery, Cardiac Event." Click here to tweet. In The Crisis, Thomas Paine wrote about "the summer soldier and the sunshine patriot." That phrase has been running through my mind recently, not because of any single incident or cause, but rather the thought that it's become easy to espouse a cause when it's popular, less so when it becomes difficult. There's a saying in the area that refers to the Dallas Cowboys football team: "We love you, win or tie." And it was easy for those of us who follow the Texas Rangers to identify with them when they were doing well, but as they sink lower and lower in the standings it's harder to find their fans. Lest this deteriorate into a political discussion, let me hasten to say that, although I have my own ideas about those elected to govern this great nation, I'm not talking about politics. What I'd like the readers of this blog to do is look into their hearts and determine whether they're "summer soldiers and sunshine patriots," happy to be identified with winners, but not so much losers, especially if the cause is unpopular. What cause(s) do you think you'd stand up for, even under those circumstances? 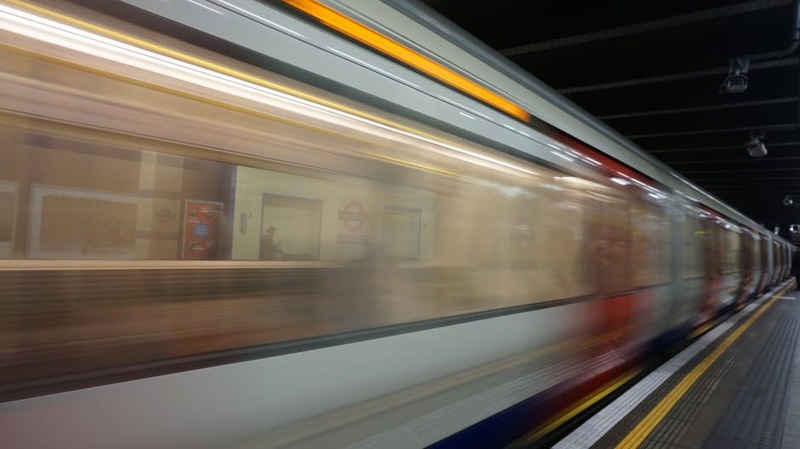 One of the questions a writer must consider when deciding between seeking a "conventional" publishing contract with a publisher and "going indie" by taking on the publication of the work is the matter of the time between completion of a book and its release. Jane Friedman addresses this in her recent blog, "The Pressure To Release More, More, More Titles." In it, she highlights one of the major differences between the traditional publishing world and the indie-publishing route. In her article in Publishers Weekly she says, "When I worked in publishing in the late 1990s, my boss often repeated the business maxim, 'Fast, cheap, and good—pick two.' This is the belief that it’s impossible to produce something of high quality very quickly and at low cost. Companies have to prioritize two of these and sacrifice the third...Traditional publishers are often criticized for not prioritizing fast. " 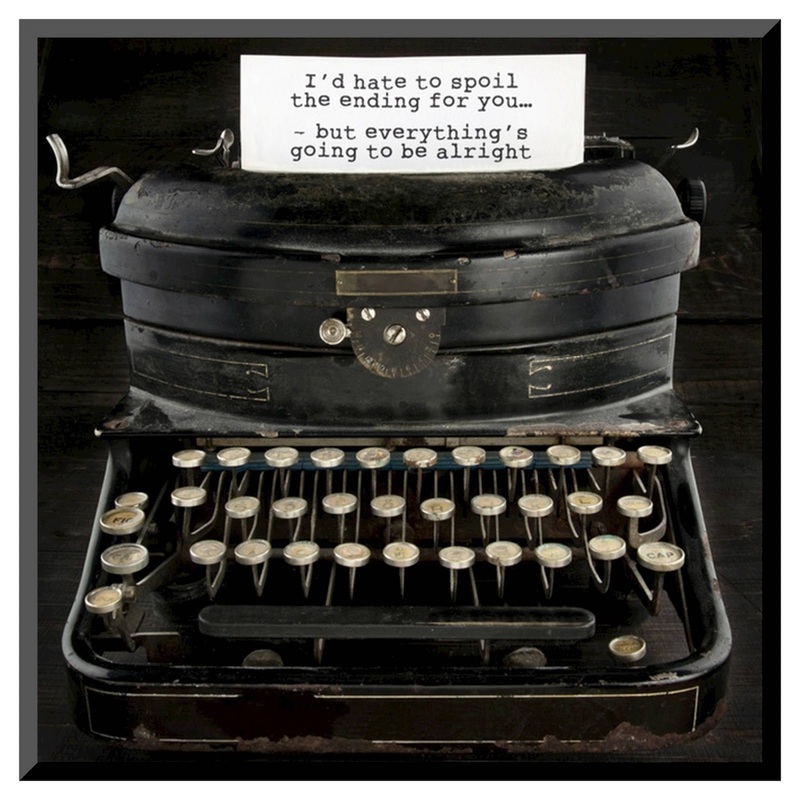 What about other factors affecting authors and reader? Steve Oates, an executive with Bethany House Publishers, has a lot to say about the changes already taking place in the Christian fiction market, and I suggest you click here to read that post. Truly, the times are changing. The traditionally published author accepts the fact that a book may take a year or more between acceptance and release. One of the benefits of indie publishing is being able to get a book out, especially the e-book version, in much less time than that--usually a matter of a few months. My friend and colleague, the late Michael Palmer, expected to produce one book a year---that's what he negotiated with his publisher, and his readers were content to wait for that book. Others (and I could name names, but it's not necessary) have gone the indie route and the books literally pour out from their computers. Which is the best method? It gets down to "whatever works" for the individual author. Does it matter? Personally, I think there's something to be said for both approaches, but what do you think? Let me know. Tweet with a single click. "Should publishing hold to the old maxim that it's impossible to produce quality work quickly?" Click here to tweet.